A belated Happy New Year to the readers of this blog! I'm so excited to start this new year with fresh blogs and continued emails from all of you! Thanks so much for the kind words! Let me take a moment to wish you the best for this coming year and beyond. 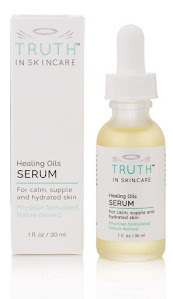 While I talk much of skincare on this blog, certainly there are times I'd like to write about more important things such as what's happening in this world (and that's quite a lot huh?). So for this new year, of course I'll be writing more skincare blogs, but I'll also be throwing in some more personal rants and raves and writing about things I believe should be talked about. I think in the bigger scope of things we can all agree that skincare takes a much needed backseat to other issues in our lives! As Americans, and with our current troubled economic times, there are certainly larger thoughts looming for us all. Expanding the scope of the blog I think will hopefully give it a more personal and interesting new depth (let's hope!). So, kinda like a plate of skincare with a side of current affairs! Again, I wish you all the best in this new year and hope that whatever we are going through, good or bad, we can always be grateful for what we do have and plan to become better people to ourselves and to others as each day goes by.